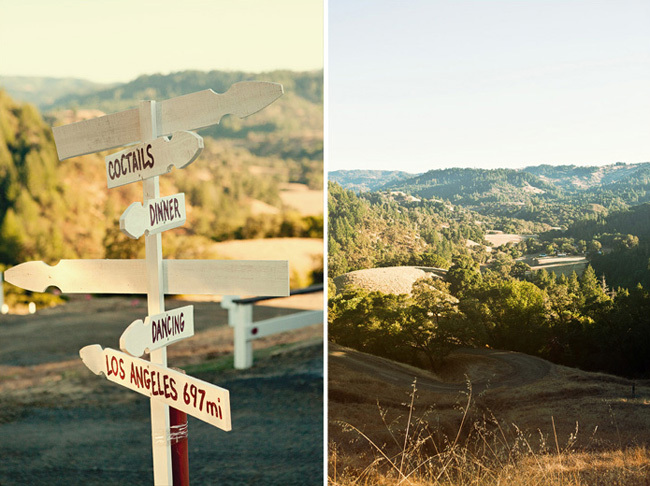 Today’s gorgeous Anvil Vineyard & Ranch wedding is by the oh-so-talented Jagger Photography. 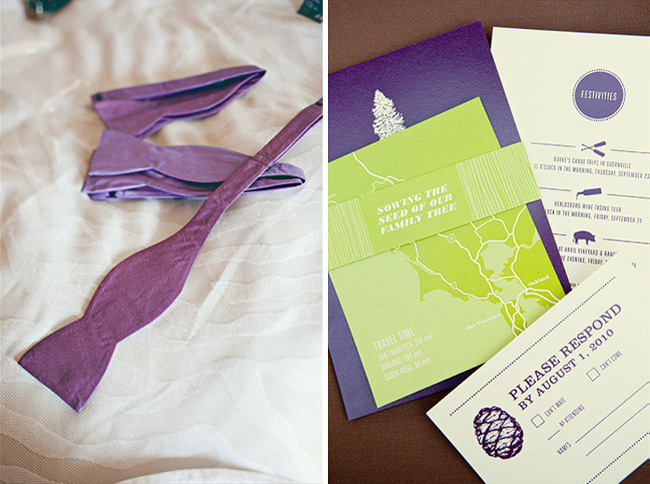 It’s full of laughter, love, an espresso and eggplant wedding color scheme, and the kind of fabulous details that we know you adore! Lizzie’s brother-in-law Devin Prater designed all the paper goods as a gift to Lizzie and Joaquin. He did an amazing job! 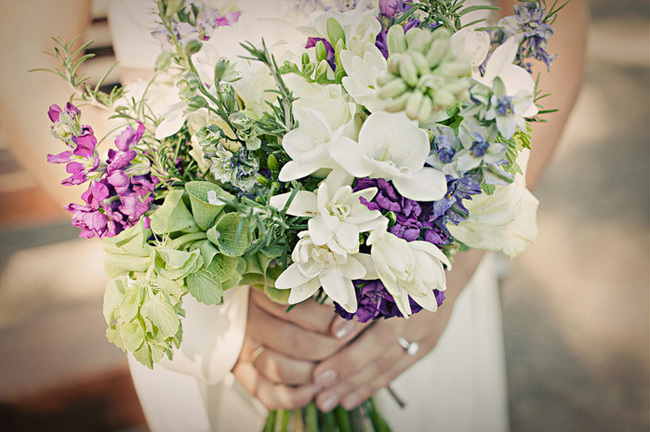 The bouquets and boutonnieres were done by Dragonfly Floral. 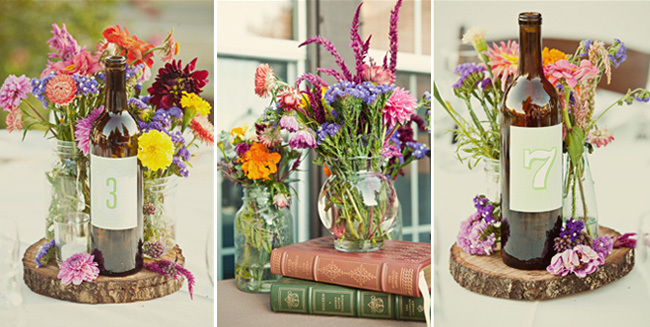 To save money, Lizzie contacted the local Sonoma Farmer’s Market to buy local flowers for the ceremony decor and centerpieces–she was able to get them for $10/bunch! The darling directional sign was made by Joaquin’s parents. 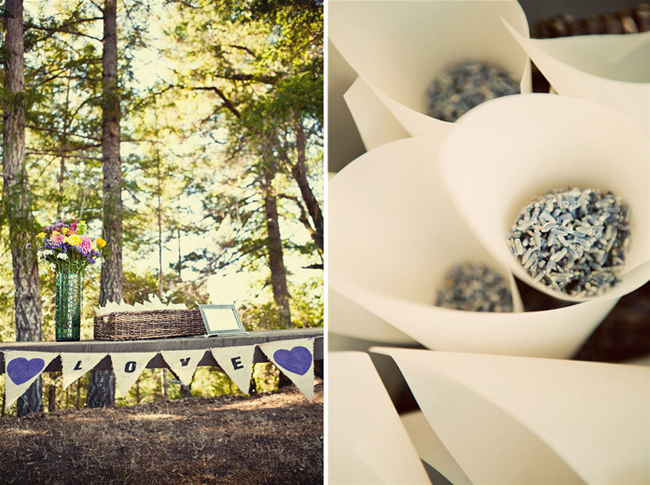 Before the ceremony, guests picked up paper cones filled with lavender to toss at Joaquin and Lizzie as they headed back down the aisle. 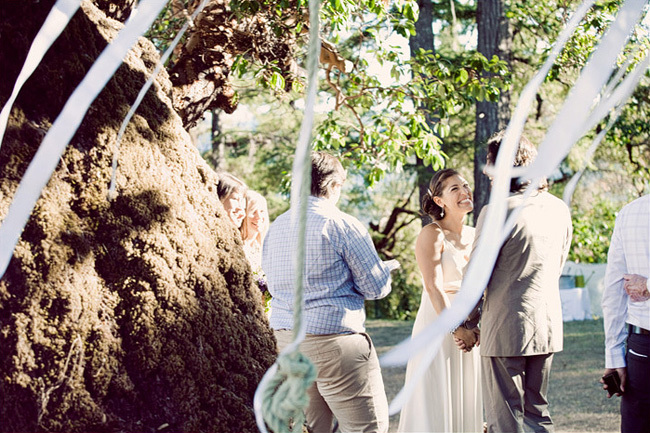 Ribbons hung behind Joaquin and Lizzie during their sweet ceremony. They were all smiles the entire time! 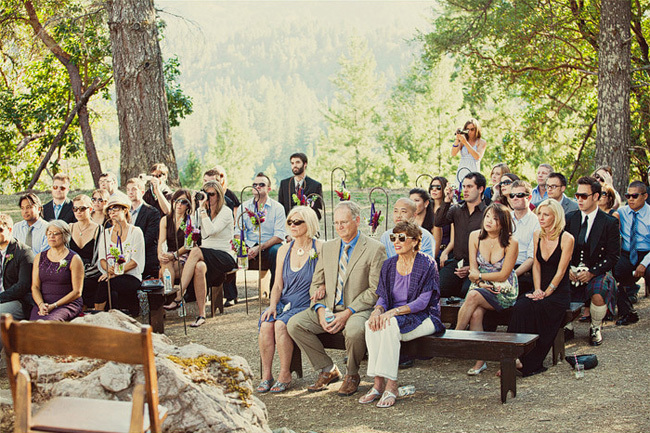 The guests sat on benches–such a savvy alternative to chairs. 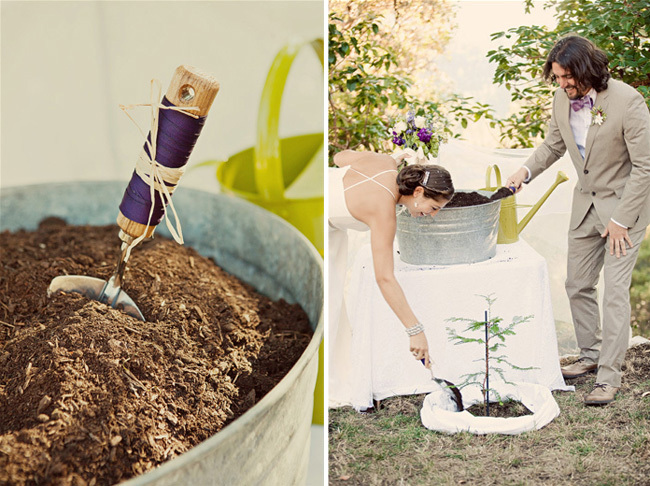 After the ceremony, Joaquin and Lizzie planted a tree. What a sweet symbol of the start of a new life! 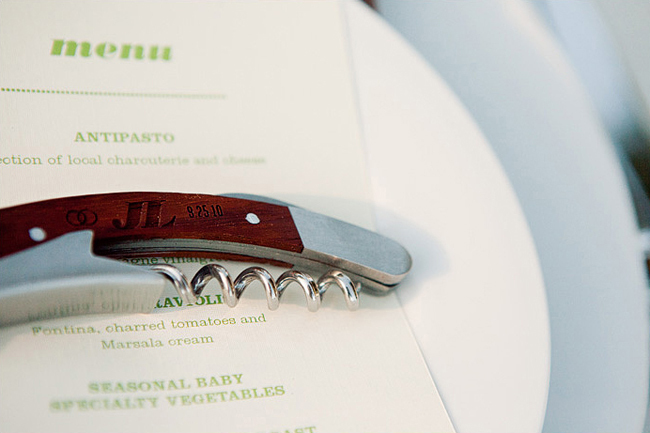 The place cards were tucked into wine corks collected by Joaquin’s parents throughout the year. Lizzie made the centerpieces with the help of her stepdad who cut slices of a dying tree and finished them with lacquer (they later gave these wood slices as gifts to friends and family). In keeping with the vineyard theme, Lizzie and Joaquin collected wine bottles and added custom table number labels designed by Devin. 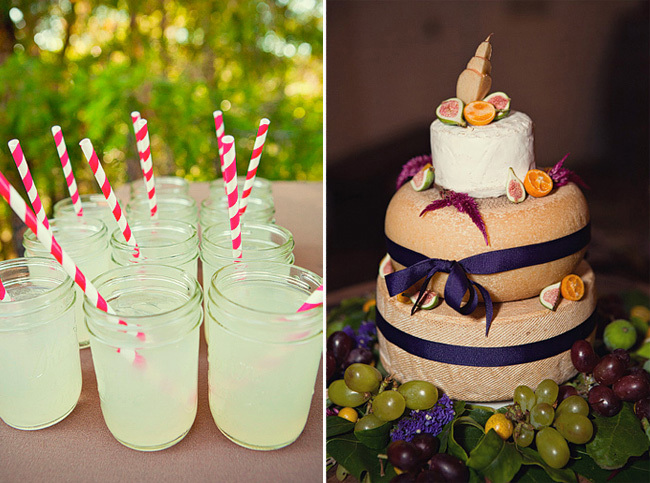 The food and drinks were important to Lizzie and Joaquin and we’re sure their guests appreciated it! The menu sounds absolutely to die for: roasted pork tenderloin, seasonal roasted vegetables, and porcini ravioli in masala cream sauce, plus platters of local cheese and an amazing signature drink! 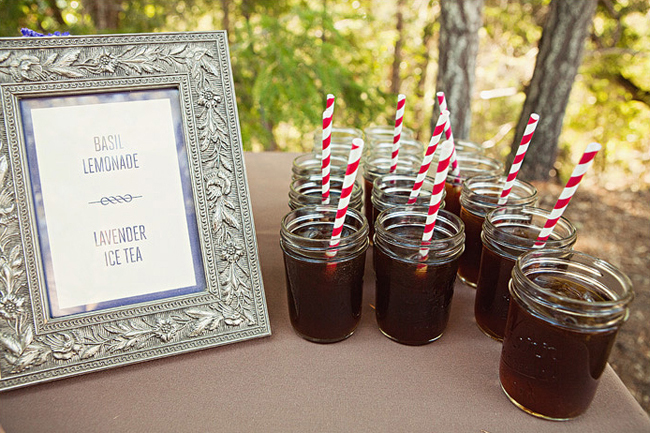 Basil lemonade and lavender iced tea…yum!! We love the striped paper straws too! Congratulations Lizzie and Joaquin! 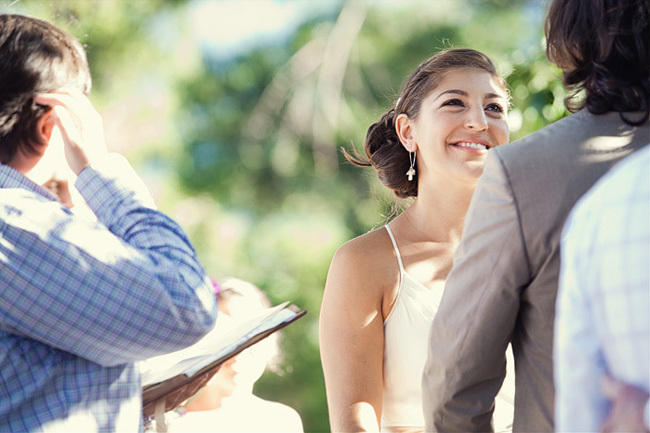 We loved every bit of your special day. The post look great!! 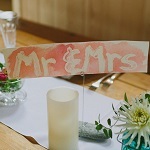 Thanks for asking to feature this wedding! 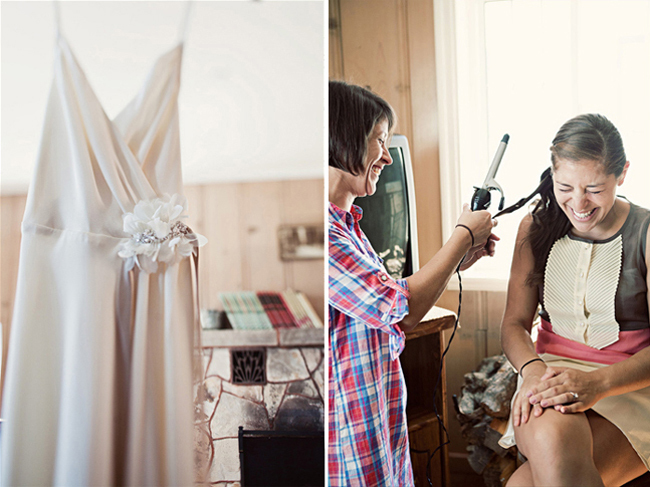 We always love seeing our weddings on your blog! 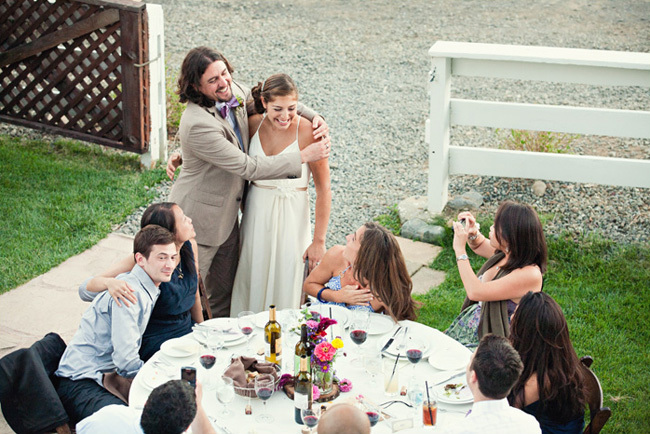 Oooh this is such a cute wedding! They look so happy. 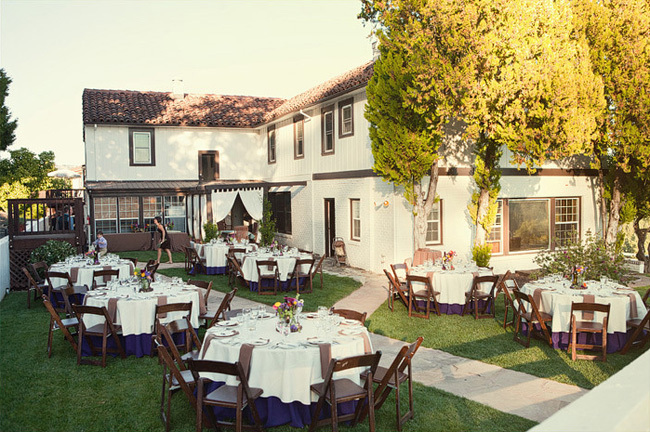 adorable venue. love the purple bowties. 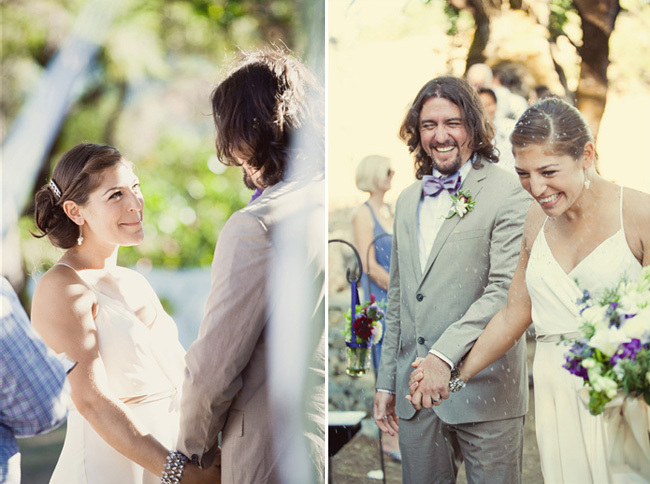 What an absolutely beautiful wedding! I love all the sweet details, and you can just feel their joy! I love all the details and the fact that they wanted to focus on celebration!